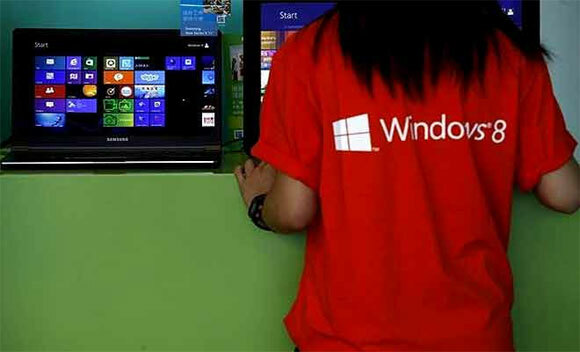 Although only 100 business days are left for the American software giant Microsoft Corporation to end support to Windows XP operating system, Indian public sector banks and government agencies are yet to migrate to new operating systems. This means using Windows XP in their computers after April 8, 2014 would expose the users to potential security and compliance risks. After the deadline, the Redmond-headquartered company would not provide any new security updates, free or paid assisted support options or online technical content updates for the operating system. 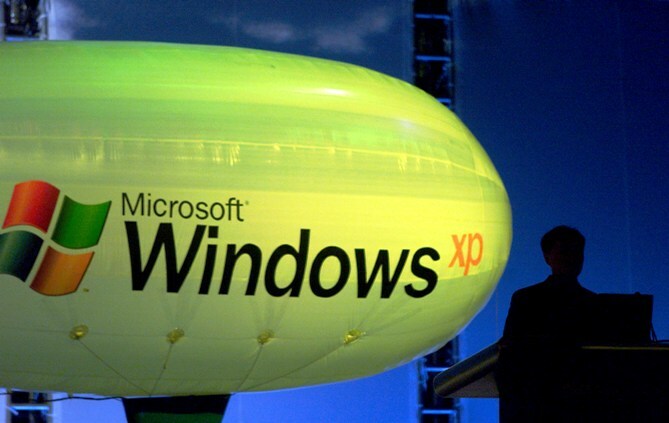 Windows XP is three generations behind the latest operating systems of the company. 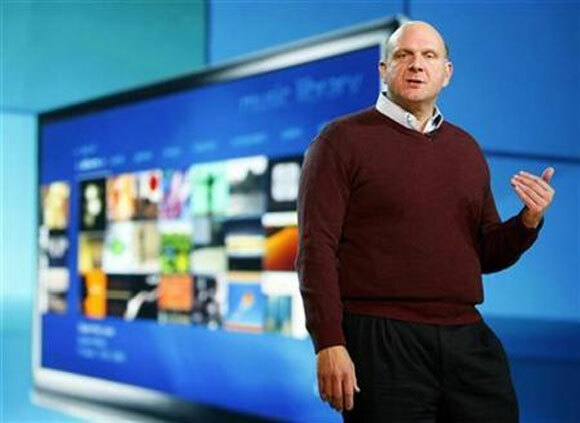 Image: This file photograph shows a Microsoft engineer introducing the new Chinese Windows XP during the launch of the operating system in Beijing. According to a study conducted by market consulting and analytics firm Ascentius Consulting, over 34,000 branches of public sector banks are at risk. Microsoft sources said about 52 per cent of computers in banks, 30 per cent in government offices, 26 per cent in manufacturing companies and 26 per cent in software firms are running on Windows XP. “But we see absolutely no plan in the Banking, Financial Services and Insurance sector,” Amrish Goyal, general manager Windows Business Group at Microsoft told Business Standard. However, banks believe that the issue is being ‘blown out of proportion’. According to the chief technology officer at a bank, all financial institutions have strong internal security systems, which would not be breached even if Microsoft stops supporting Windows XP. “Absolutely nothing will happen if banks continue to use Windows XP even after Microsoft stopped supporting it. “This issue is being over-hyped. “There is a process of replacing each PC every five to seven years, so when we do that, the operating system will automatically get upgraded. “The threat is not high enough to pay the kind of costs involved in migrating from one operating system to another," he said. 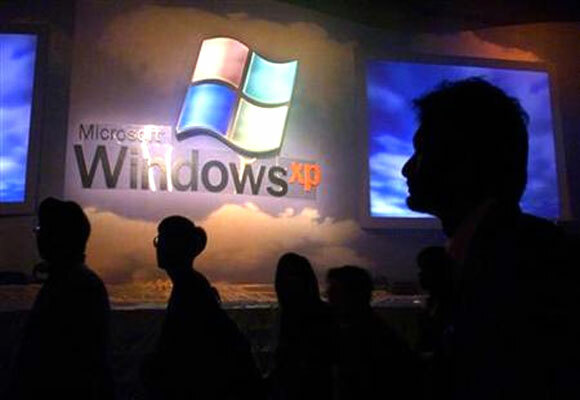 The Indian Computer Emergency Response Team, in June this year, asked all users of Windows XP to ‘immediately’ plan for upgradation. According to Ascentius Consulting, if banks continue to use Windows XP beyond April 8, their customers may be exposed to greater risks of identity theft and fraud. Also, branches running on Windows XP in the rural and semi-urban areas run the risk of going down, whereas branches in metros and urban areas may see around 55 per cent of their customers facing extended waiting times of up to 30 minutes for an average transaction. “The fiscal impact of this could be as much as loss of business opportunity worth Rs 1,100 crore (Rs 11 billion) in a day and a loss of income of Rs 330 crore (Rs 3.3 billion) over a period of three days (assuming that a major incident may take three days for the systems to come up to normal functioning),” the study said. Image: Members of the computer and information technology industries attend the launch of Windows XP operating system in Hong Kong. COLUMN: Why is it hard for founders to step down?